When young Dorothy, from the State of Kansas – a rather rural state in the USA – was caught up in a tornado with her dog, Toto, she left her home culture to experience a culture very, very different from hers. 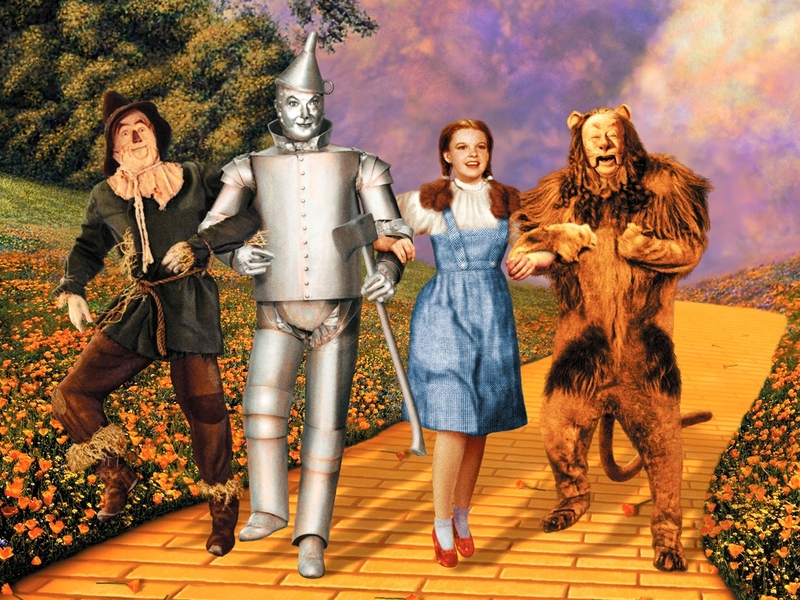 The same is true for missionaries or guests visiting another country that has a culture different than their own culture – you’re not in Kansas anymore! It’s very important for missionaries, business people and tourists visiting a country which is not their own to understand that you are a guest in that country. And being a guest the general rule of thumb is that you conform to their culture rather than them conforming to your culture. If you come to my house it would be expected that you seek to understand my family culture – what time we eat, whether we wear shoes in the house or not, who sits where, whether the TV is playing in the background when we are having a conversation or not and other things which my family has adopted to be “us.” It’s generally considered rude and out of place for you to try to force your culture on your host. If you are working or visiting in another country, you usually have a Visa or some document indicating you are a guest in that country and can be expelled if you don’t follow their laws or customs. If you are in the EU where you can cross borders freely, you still understand that you must conform to their laws. Recently a man was arrested, charged and put in prison in Thailand for making negative remarks about the King of Thailand. For most westerners who as of a matter of habit belittle and curse their presidents and prime ministers this is a small matter, but not in Thailand. It’s not only their age-old custom, but the law of the land. Whether we like it or not…it’s not our country! I was in a public bus going to the Thai border when a Frenchman came up to the front and sat on the engine cover and begin to try to reason with the bus driver to stop honking his horn every few seconds. It was really annoying, but the foreign tourist made his first mistake suspecting the Cambodian bus driver understood his own broken English (not!). His second mistake was to think this was something that needed to be changed. Actually, the only two people in the bus which it probably bothered was me and him. It didn’t bother the Cambodians on board as it’s just a normal occurrence. They understood that the reason for honking the horn was so that those on foot, motorcycles or bicycles and children and dogs would know that a huge vehicle was coming down the road and would crush them if they didn’t get out of the way. It was a futile and ignorant attempt at trying to change culture in my opinion. It’s important to understand and accept that things will be done differently in your host country. The traffic may not go the way you want it to go; the laws may be less strict in your host country than in your home country; the hygiene level may be different, family relationships, social relationships, service, diligence of the workforce and a host of other differences can drive you crazy and make you a bitter, negative and frustrated camper during your time in that country. (I’ve known several guests in Cambodia like that.) It’s best to accept the fact that “you’re not in Kansas anymore”…you’re in someone else’s country that probably has thousands of years of embedded cultural that may or may not change and may not be necessary to change! When it comes to trying to influence a culture away from its roots, its also important to know that what works in your country may not, and probably will not work in their country. Teachings, concepts and practices are not always transferable. I’m a Christian leader in Cambodia and have been ministering in Cambodia for 20 years. I’ve seen many people hurt – both foreigners and locals – because the foreigner has failed to understand the culture. His or her influence was destroyed or a few years down the road they have discovered that they were totally deceived or ignorant of what was really going on behind the scenes. I remember talking to one group from Europe who came over to implement a popular program which was successful in their home county. I told them it wouldn’t work in Cambodia. It was like trying to put a square peg in a round hole. Their response was “We don’t care. All we know is we’re supposed to come and do this. What they do with it is up to them.” I attended their seminar and watched unintelligible translation and irrelevant examples, illustrations and principles they tried to put on their listeners. It was pretty pathetic. However, they went back to their home country with glorious reports! The Cambodians went away with free meals and a stay in a comfortable guest house, but not receiving much of anything the team has hoped to impart to them. My advice: Learn the culture. How does one do that? Get involved with the locals. Don’t spend your time behind your gated communities but eat with the locals, visit their house, travel to their home village, learn their heart language and thus learn their heart. You can also learn the culture of your host country by reading about their history, watching movies associated with that country and talking with people who have been there a long time, including expats and missionaries. Please, my friend. Take time to learn the culture of your host country – whether you are a short-term visitor or a long-term worker. It will really pay off for you and the ones you labor with in the long run.